Thanks, Gary. You've solved a mystery for me. I have always wondered what the connection was between Bonnie Brae and Wright's Refuge and exactly what the Refuge was. That's quite a nice piece of undeveloped property -- 22 acres with access to N Roxboro. The county tax maps show an unbuilt section of Dominion St back behind it, too. Seems at risk for more suburban development, right on the creek bed. Employing evidence-based treatment in a residential treatment center setting, some would say the Wright School is one of very few stars in the mental health services system of North Carolina. The threat of suburban development in the suburbs? The Horror! In 1940, I was a nine year old girl when I went to Wright Refuge I remember it vividly. My brother's ages were 10 year and 2 month old and. My sister was five. My greatgrandfather Thomas Davenport Wright, was actually only 38 when he died,leaving his wife with 6 children and expecting number 7. 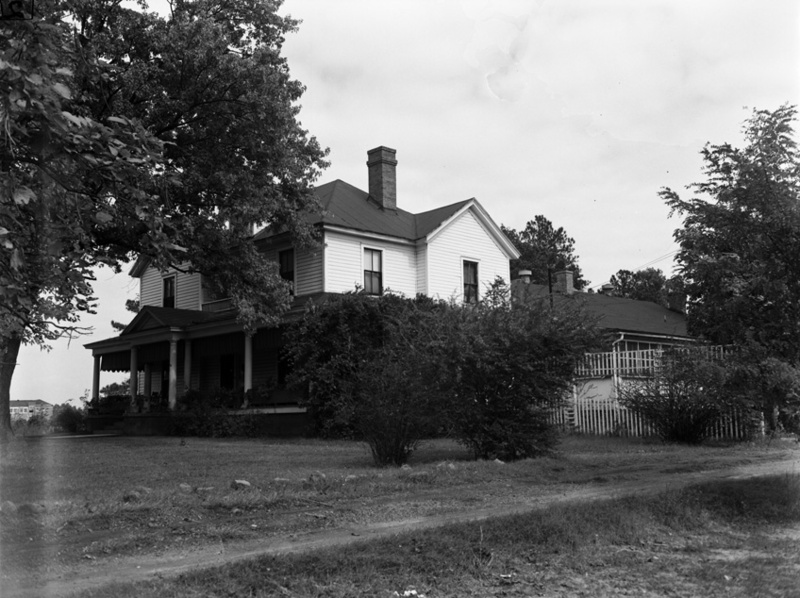 His brother Uncle Richard Wright took his brother's family in his home and later built the family homeplace Bonnie Brae for the family to live. i was 6 and my sister was 9 when we were placed in the refuge for a short time but i can tell you it was pure hell to me. we were scared to death and the staff was not that sympathetic. because we had parents that did visit us we were not abused but we saw many children that were. i will never forget that place. it was horrible for me and my sister. My name is Vivian Taylor Briggs. My sister, Becky, and I lived at Wright Refuge during the late 1950's. My house mother was Mrs. Lucy Laws, who was Thad's grandmother. I have some very fond memories. Mrs. Lucy was a very wonderful,loving and caring person. She had such a very positive influence in my life. I was blessed to have lived at Wright Refuge. I spent a portion my childhood in wrights and remember easter egg hunts on the front lawn I have a pic of my birthday and cake circa 1939. I noted several individuals who had attended the Wright School/Refuge over the years and others that lived near the school. 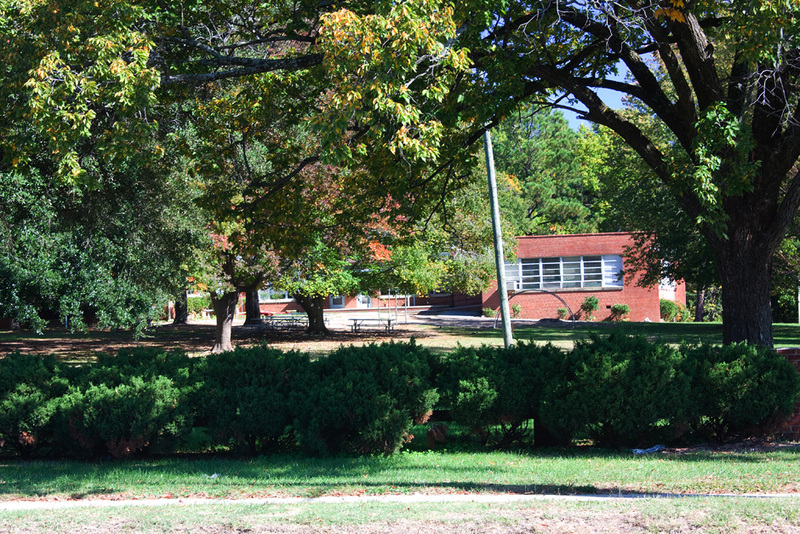 In 2013, the Wright School will be celebrating its' 50th anniversary. Anyone who has photos or information (school handouts, school song, etc), are encouraged to drop it by or mail it to the school. Should you want your memorabilia returned, please put your information (name and address) with your materials. Thank you! Wright School is indeed celebrating their 50th Anniversary on Sunday, January 29th from 2pm to 4pm. Please come and share your memories and see the wonderful work that has been happening to help North Carolina's children and families for the last 50 years! Was there a cemetery on the property at one point? Was it removed and if so, where? My Grandmother and her 4 siblings were residents at Wright's refuge for several years beginning in 1924. Does anyone keep records on these children that far back? We don't even know the details of why they were taken there. Please respond - My grandmother will soon be 96 and she'd really like to know where she really came from. Thanks!! My name is David Smith. My mother is Mary Wright Smith. My grandfather was Richard Harvey Wright, Jr. and his uncle was R H Wright. My aunt was Bettie Wright and my great aunts where Mary Ruth Teer and Cora Chambers. If you would like more information about them I will be glad to share with you what I have. Where are the records of Wright Refuge in the 30's? Are they in the present building, somewhere in Durham County, or in the North Carolina state archives? s Refuge. Her older brother and sister did not go. do you remember any of the other children there at the time? Wright Refuge, looking northwest, 1920s. Richard H. Wright - one of Durham's prolific early entrepreneurs (of early association with the Dukes, Durham's streetcar system (including development of the East Durham Ballpark and Lakewood Park, real estate development, and the Wright Machinery Company) founded the Wright Refuge in 1923. Per Boyd, William H. Young, judge of the Juvenile Court at the time, implored Wright to help provide funds to house orphaned children. Wright responded by offering $10,000 for its construction, provided that the "citizens of Durham provided an equal amount." The Chamber of Commerce raised the matching funds, and 22 acres of land were purchased on North Roxboro Road, 3 miles north of Durham. 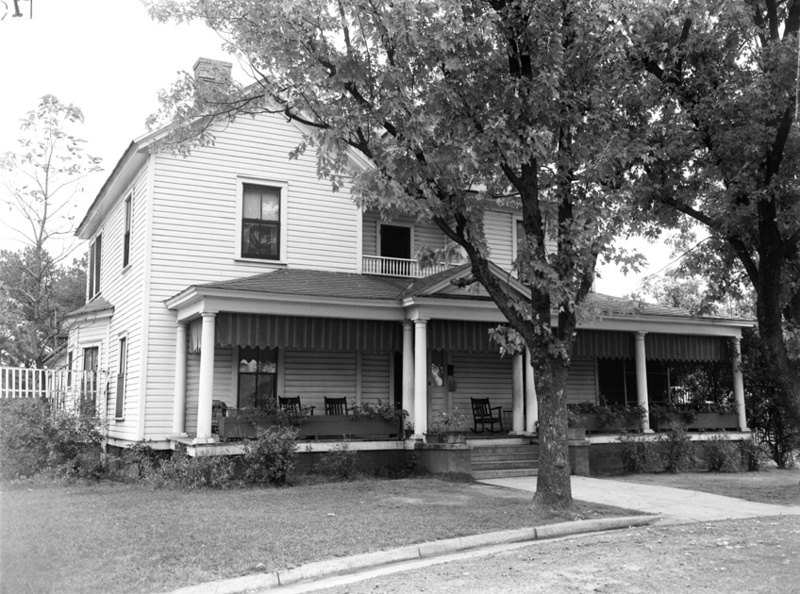 The home was completed in October 1923. Total costs were closer to $30,000; the shortfall was paid by Wright, who also provided a $50,000 endowment to run the facility. The Refuge was managed by a board of trustees elected by the city council, the county commissioners, the county board of health, the city board of education, the Ministerial Association, and the Red Cross. In the first 6 months of operation, 35 children were placed at the Refuge. Wright himself initially lived in the former EJ Parrish house at East Main and North Dillard Sts., but later lived not far to the north of the Wright Refuge in his former summer house, Bonnie Brae. After Wright's death in 1929, his will made no provision for the Refuge, having been drawn up in 1921. 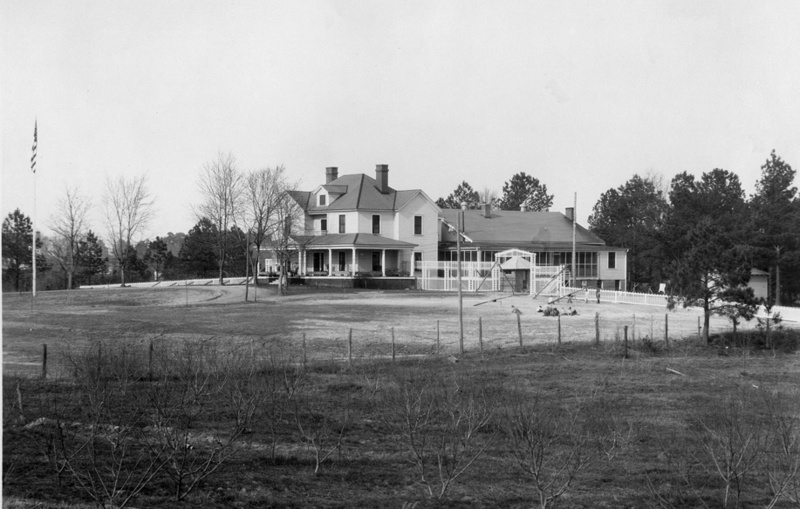 Wright's sister assumed responsibility for the home, though, providing $100,000 to it in 1930, in addition to funds for operation prior to her death in 1932. A new structure was built in 1950; it appears that the original frame structure was likely demolished soon after the construction. This replacement structure remains on the site. The Wright name appears to persist as the "Wright Refuge Fund" of the Triangle Community Foundation, founded in 1983, which is now the owner of this 22 acre site. The building is now used for The Wright School which, per the front page of their website "provides best practice, cost-effective residential mental health treatment to North Carolina's children, ages six to twelve, with serious emotional and behavioral disorders; and supports each child's family and community in building the capacity to meet children's special needs in their home, school and local community." Site of the former Wright Refuge, 10.26.08. Was there a cemetery on the property at one point?